It's a myth that Southern gardeners cannot grow peonies. 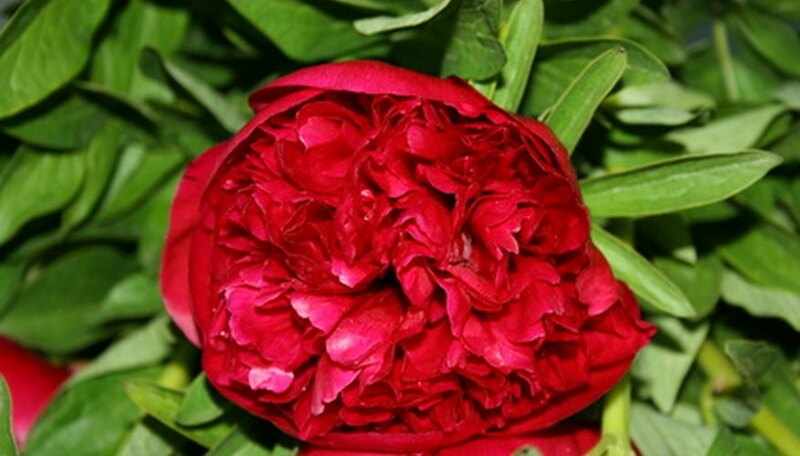 Those in hardiness zones 2 to 8 can grow the herbaceous peony; those in zones 3 to 9 can plant the tree peony. Both feature the same fragrant, bright blossoms. This means that gardeners in most of Florida and Louisiana and all of Mississippi, Nevada, Utah, Tennessee and South Carolina can grow herbaceous or tree peonies. Neither peony is particular about soil texture. Plant in the spring in the South, using container peony plants. Select a site with full to part sun. Tree peonies can tolerate more shade than herbaceous peonies; in zones 8 and 9 peonies will fare well in part shade, since the climate is warmer. Test the soil pH using a home kit. Most kits require you to take a soil sample and then touch a color change strip to the soil. Check the resulting color against the pH value chart. The University of Rhode Island notes that peonies prefer a pH of 6.5. to 7.5. Amend your soil if necessary by adding lime to raise the pH or sulfur to lower it. Use The Garden Helper's recommendations, which vary by soil type. Dig a hole twice the size of your peony. Remove rocks and weeds from the hole. Pull your peony plant from its container. Break apart the root ball by massaging it between your hands. Unwind tangled roots before planting. Place the peony in the hole at the same depth as it was planted in the ground. Backfill the hole with soil. Water your newly planted peony until the ground becomes saturated with water and soil compresses around the base of your peony. Continue to water the peony when the soil becomes dry to the touch. Prune back herbaceous peonies to within 1 inch of ground level in late fall. The plants will regenerate in spring. Avoid pruning tree peonies to the ground since they develop differently. Clip off the leaves if they don't naturally fall in the autumn to stimulate new bud growth in the spring. Fertilize peony plants in the spring with a balanced fertilizer (such as 10-10-10). Follow the dosage range for your type of fertilizer. To apply, scatter fertilizer on the ground near your peony, then water to work in the fertilizer.